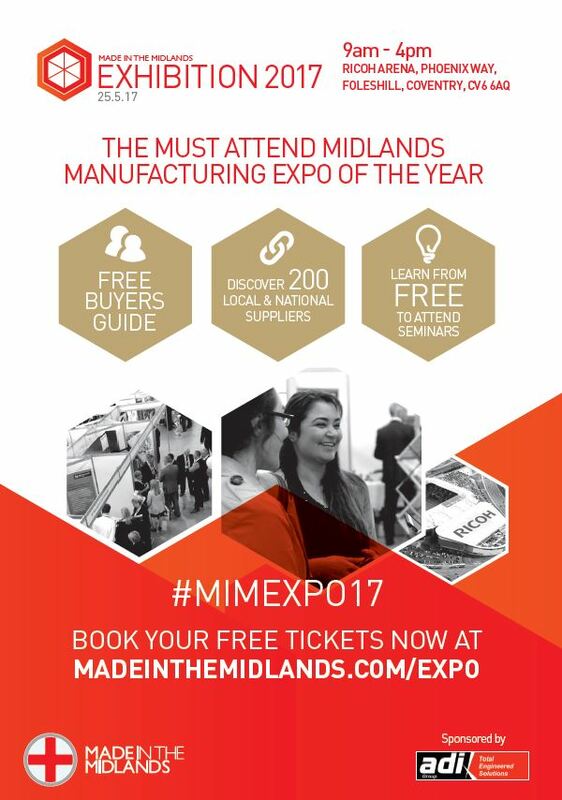 MIE Solutions UK Ltd – Stand D55 – We look forward to seeing you there! We are one of the leading providers of MRP Production Control software, specialising in all manufacturing industries. MIE Solutions UK can offer you an affordable, no hidden cost solution and will support your manufacturing business as you continue to grow and develop in the future. MIETrak Pro will streamline your operations across the entire workflow process and provides maximum efficiency along with an immediate ROI. MIETrak Pro is easy to install, use and implement, and includes advanced features such as Cost Control, MRP, Scheduling, Reporting, Quoting, Inventory Control, Real Time Tracking and so much more. So what are the benefits of MIETrak Pro? Both time and mistakes cost a business money, so reducing and eliminating these are going to prove profitable. This is achieved with the system’s ease of use and lack of double entry, with the later also going a long way to eliminating those costly mistakes. Everything is being recorded digitally meaning that the days of trawling through stacks of paper and collating endless spreadsheets’ that just don’t make sense are on the out. Profit margins are constantly being scrutinised as manufacturing becomes more and more competitive due to the industries price driven nature. With MIETrak Pro you can ensure that all quotes are consistent and that profit margins are maintained across the board. MIETrak gives the user purchasing power in the form of MRP, meaning that you can take control of all purchases within the organisation efficiently and ensure that you are getting the most for your money. The efficiency of a manufacturing company separates the best from the rest. MIETrak Pro’s production scheduling software; reporting, dashboards, graphs, and KPI’s ensures that all processes are carried out quickly and accurately and are recorded as such which are paramount to a company’s success. With a growing number of industries requiring some sort of quality compliance, having its functionality as part of integrated MRP software system is vital. MIETrak Pro’s Quality Control feature gives users the ability to log and track issues, along with always having the traceability back to the original job, when manufacturing remakes. MIETrak Pro offers complete transparency and enables you to extract any piece of information from within the production planning software system and reproduce it in any format. This can be carried out in the form of a report, a widget, or even by using our dashboard capabilities. The level of customer satisfaction can either make or break a business. With our comprehensive quoting feature MIEQuoteIT. You can create consistent quotes across the board, and quotation lead times can be captured in order to ensure deadlines are maintained. Once installed, you can be assured that our customer support team will be committed to offering you a continued, professional, experienced training and support network. 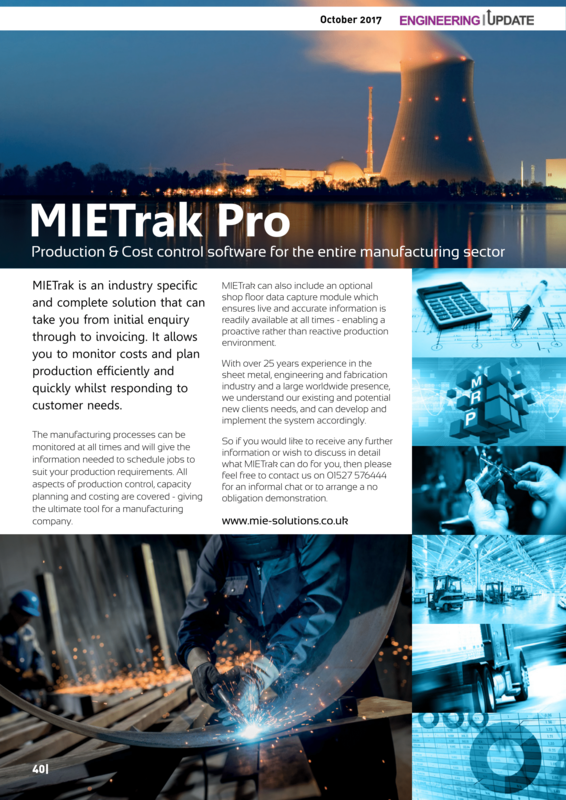 Once again we will be showcasing our MRP & Production Control Software solution for the entire manufacturing sector – MIETrak Pro! Come along and meet the team on stand L116 and see MIETrak Pro in action for yourself. Please book your FREE NO OBLIGATION demonstration HERE! What a year we have had since the last show, whilst having many editorial pieces in lots of manufacturing magazines, we have also continued to increase our sales month on month and can report we have also received 2 of our biggest sales to date. The future is looking great for 2017. 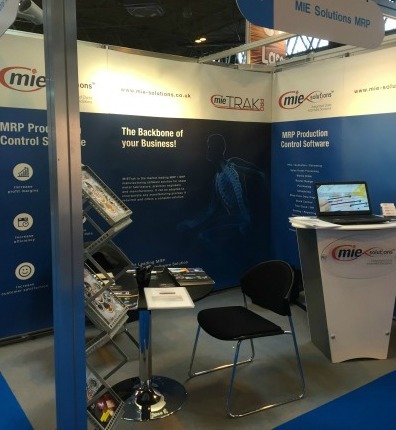 Please visit our stand P67 where you will find our friendly team on hand to advise you on all aspects of MRP Production Control software and how MIETrak Pro can revolutionise your business . 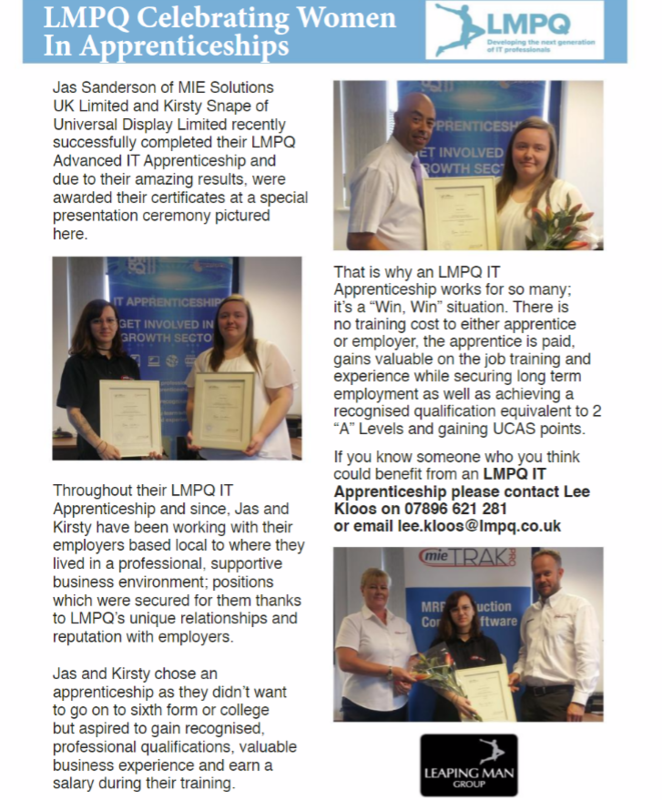 MRP Production Control Software Industrial Process News is incredibly pleased to present MIE Solutions UK Ltd as its richly deserved Production Control Specialist of the Month.